Preparing Your Space For Professional Painters! When you hire professionals to come into your home and perform painting projects for you, it is a very exciting time. You are making the investment to alter, or update, your living space, and you have found the help that you need to complete the painting project for you. There are a few, simple things that you can do before the professionals arrive, that will make the whole painting project run more smoothly. Continue reading for some ideas of tasks that you can complete before your painting experts arrive. The first thing that you should consider, is to ensure easy access to the area that is to be painted. Make sure that you have parking space for the painter’s vehicle within your driveway, or in close proximity to your home, because the employees will need to carry all of their painting supplies and equipment into your home. Furthermore, make sure the path to your project room is clear for them to get to easily. You may also want to remove household pets during the time that the painting is occurring, which will ensure that no mishaps happen that involve your pets. Unless otherwise agreed upon, it may be wise for you to move furniture away from walls that are to be painted. The painting professionals need easy access to the areas that they will be working on. It is also a good idea for you to remove any wall hangings, nails, or breakable items around the room. Painters will provide drop cloths that will protect your belongings, but if you have valuable, fragile items around the project area, it is wise for you to simply move them to another room for the time being. Additionally, if you have throw rugs, or area rugs, around the room to be painted, or the pathway that leads to the room, then it may be beneficial to remove them temporarily, too. The rugs could be a tripping hazard for your painting professionals, and that would not be good for anyone if a person is injured. 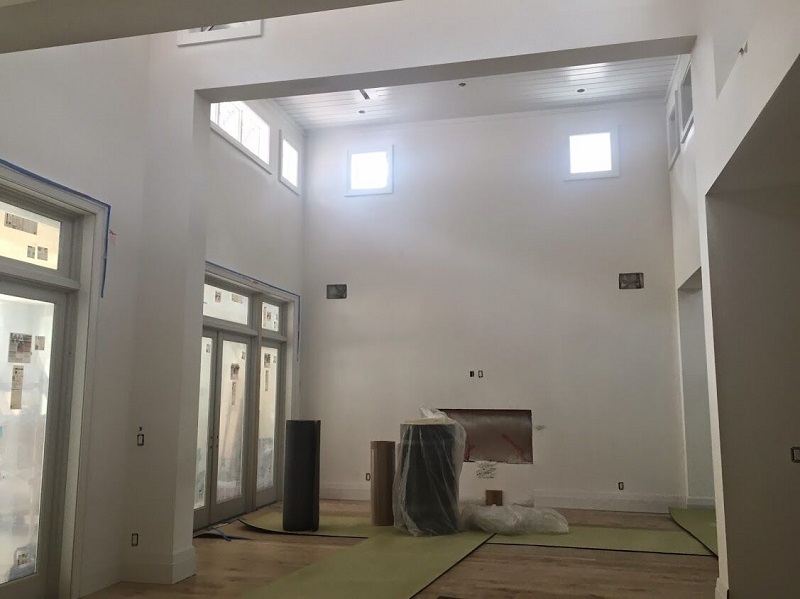 You have put a lot of time, effort, and money into a professional paint project, and it is smart for you to prepare your space as much as you can, in order to make the project operate efficiently and smoothly for everyone involved. Leave the painting to the professionals! Contact us at Noel Painting.